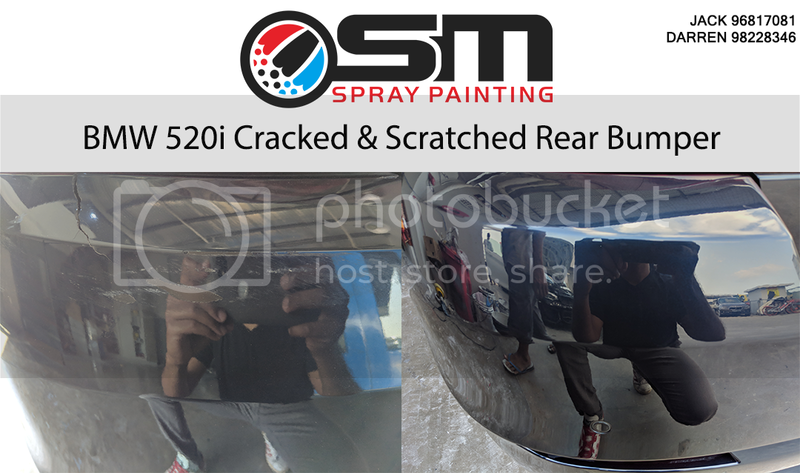 A BMW 520i came in with a cracked rear bumper. On top of that, there's chipped-off paintwork below the cracked area with lots of scratches. This is only 1 part of the bumper. There's scratches and dents all over the rear-bumper. 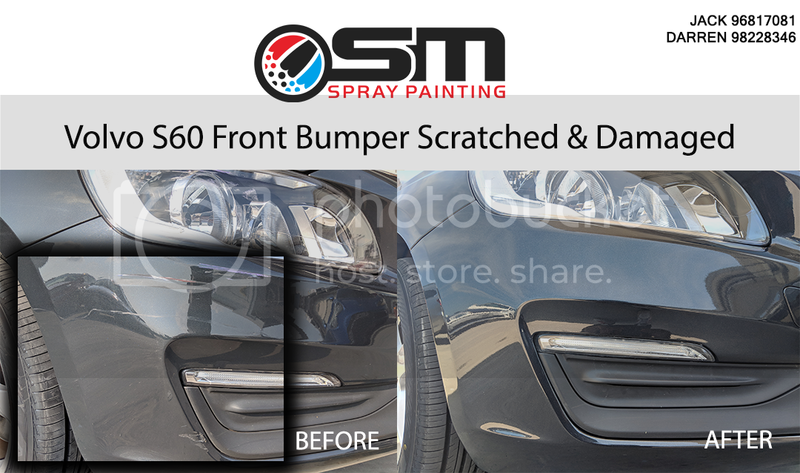 The S M Spray Painting team got to work and restored the bumper within the day. It's in a speckless condition now. This immaculate Honda Jazz came in with a badly damaged front bumper that requires replacement. The replacement process isn't just a remove and install. As seen in the "Before" pictures, the stock bumper came un-painted. S M Spray Painting will have to go through the hundreds of colour code under the Blue category to match its existing colour. The team will then put their skills into the spray painting. The Honda Jazz is now as good as new. 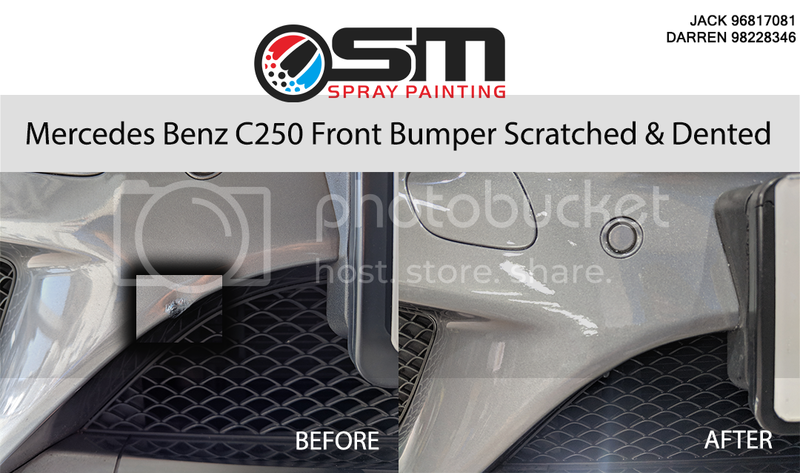 The bumper now gets a fresh new look with an added shine thanks to Spies Hecker Car Spray Paint & MIPA Lacquer. 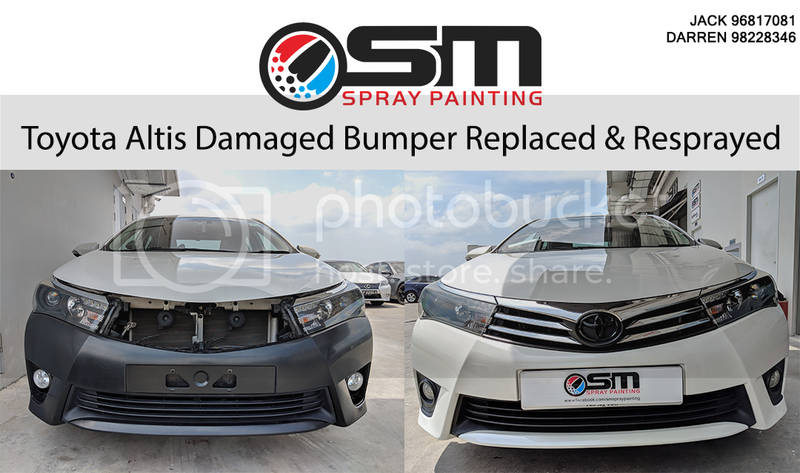 A Toyota Altis came in with a badly damaged bumper. It was so bad that the bumper needed immediate replacement. We had the bumper replaced and resprayed to it's original colour. Getting the perfect colour code isn't easy. 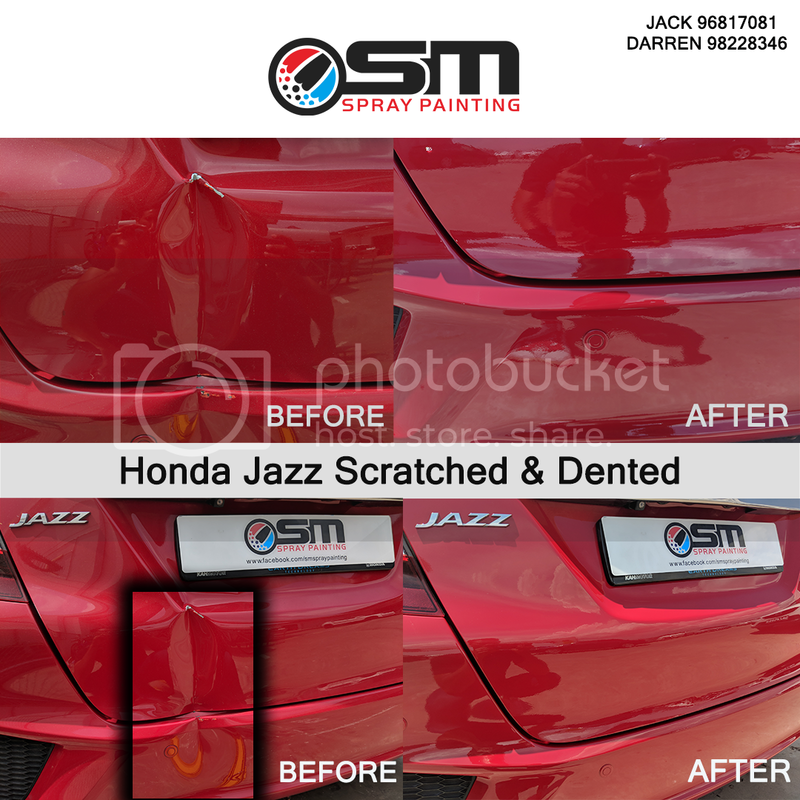 But with the help of a highly experienced team, high-tech paint mixer & quality products, we got the job done in a jiffy. A Mercedes Benz C250 came into the workshop to get some help. After assessing the car, we saw the "blotched" part as seen below. 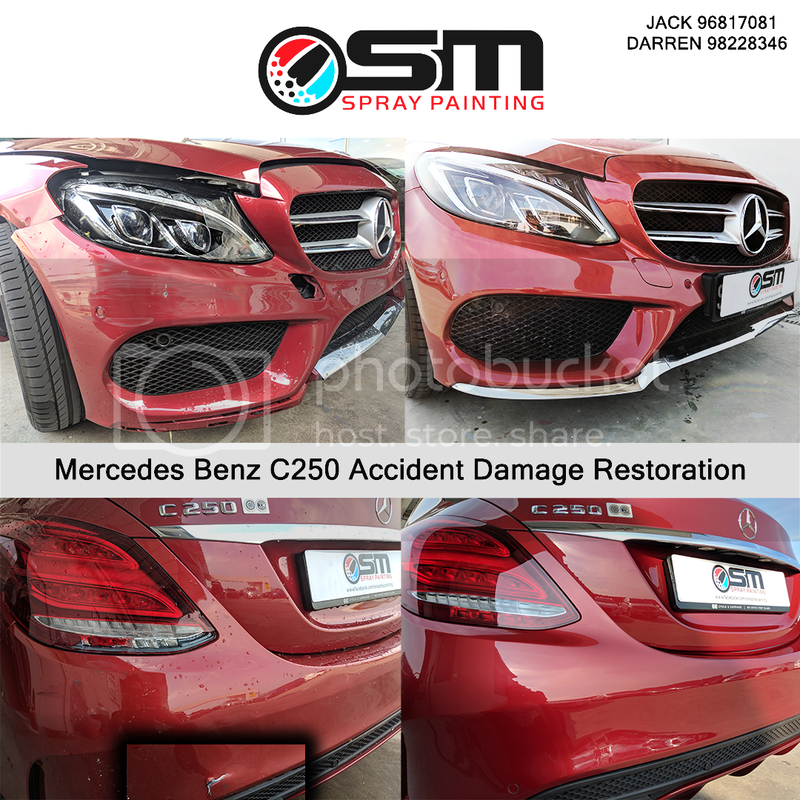 The paintwork in the area was affected due to an on-point dent and scratches. We got to work immediately and the car was as good as new only in a matter of hours. Most importantly, the paintwork was a perfect match. 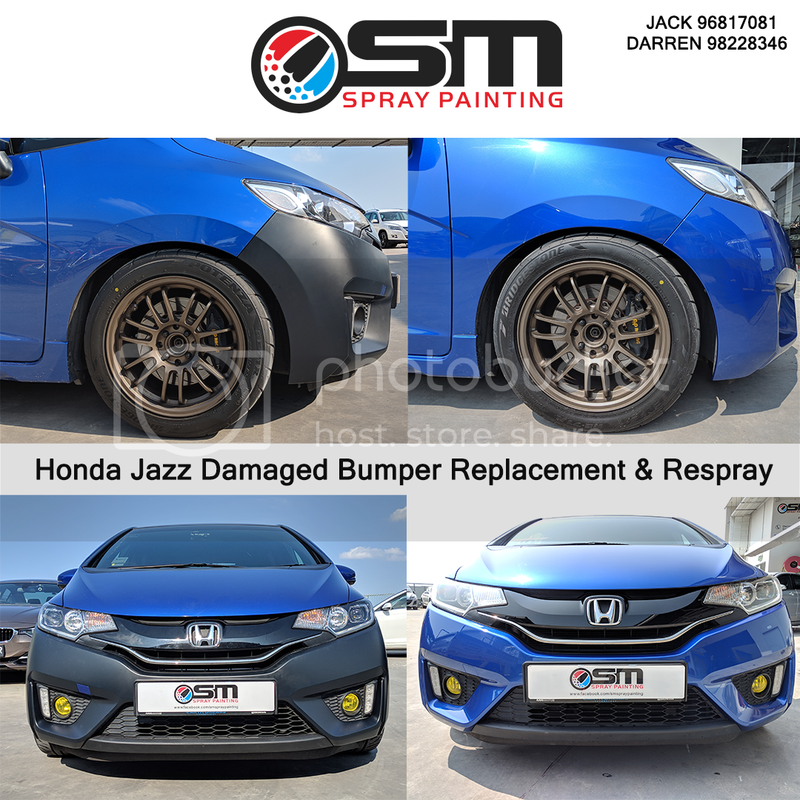 Honda Jazz with a damaged rear came in and restored in just a few hours! Job Done! Fully restored to original condition. Just another day at S M Spray Painting. 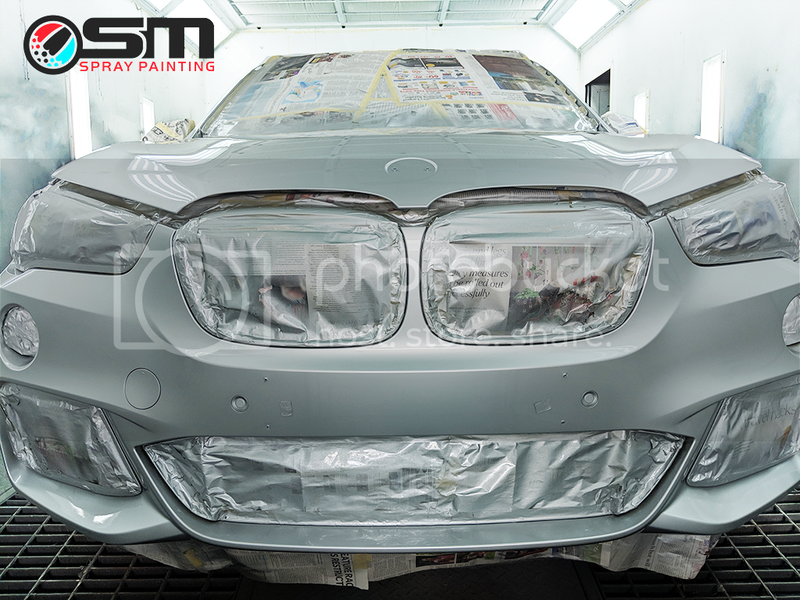 BMW X4 At Work For A Fresh New Look. 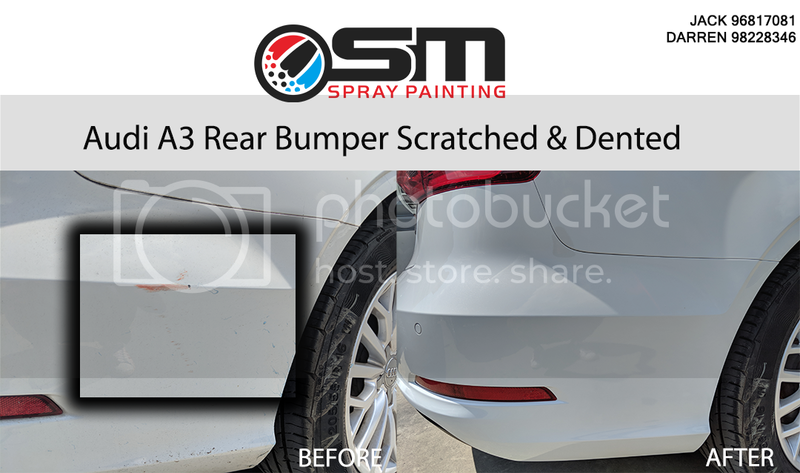 Audi A3 dented and scratched rear fender. Immediate restoration done. 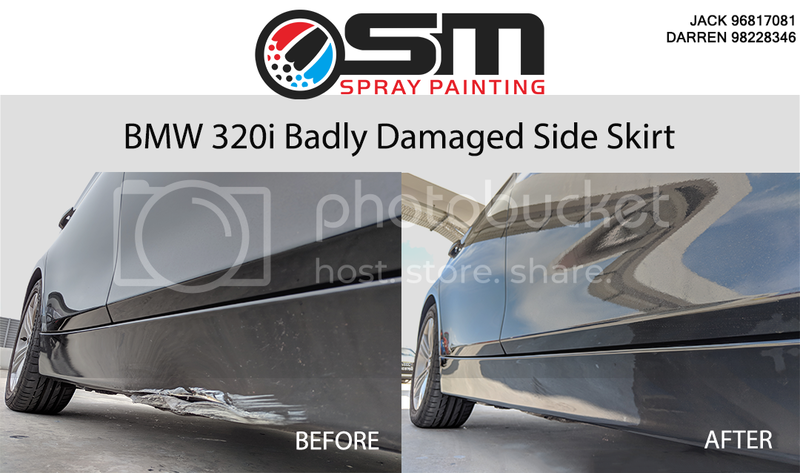 BMW 320i came in with a badly damaged side skirt. Scratched, dented & broken all in one spot. In a matter of hours, it's as good as new all over again. Job done. 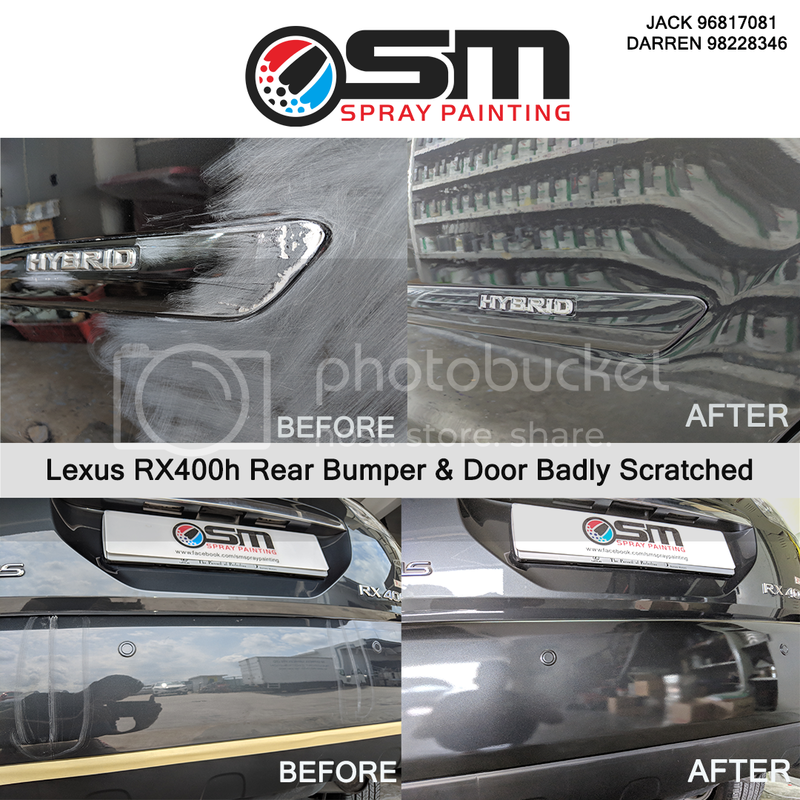 Lexus RX400h came is with a scratched bumper & door. The team got to work and completed the job in just a few hours. 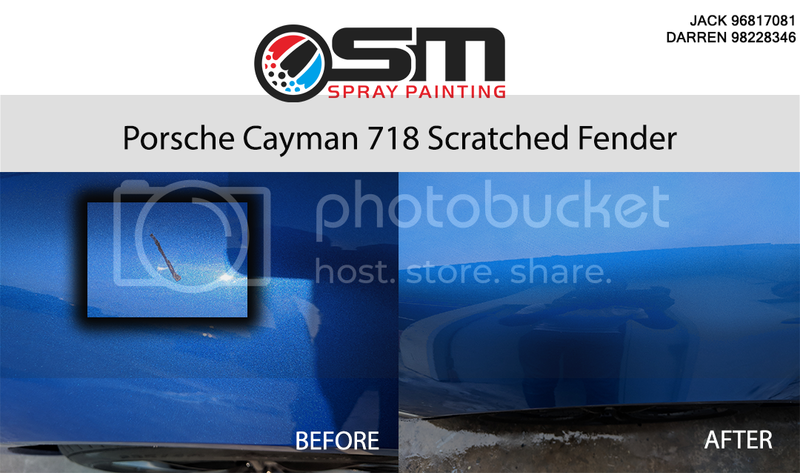 A meticulous owner of this Porsche Cayman 718 came in to remedy the scratch seen on its front fender. Quick action taken to prevent rusting. Being a specialised high quality spray painting workshop, this beauty is as good as new in just a few hours. A Volvo S60 came in with a scratched & damaged bumper. Bumper was fully restored to "mint" condition within the day. Job Done! 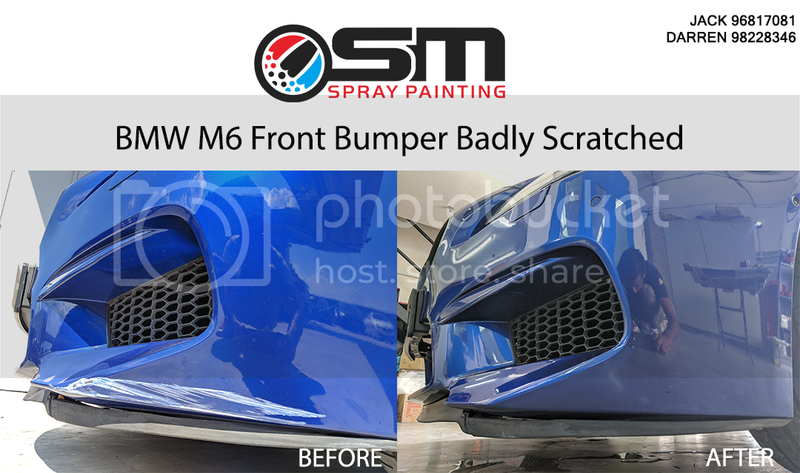 The scratches seen on the BMW M6 "before" image is a common sight for many car owners who sometimes accidentally graze over a curb. Most importantly is to treat it fast before it gets worse. Another job done. 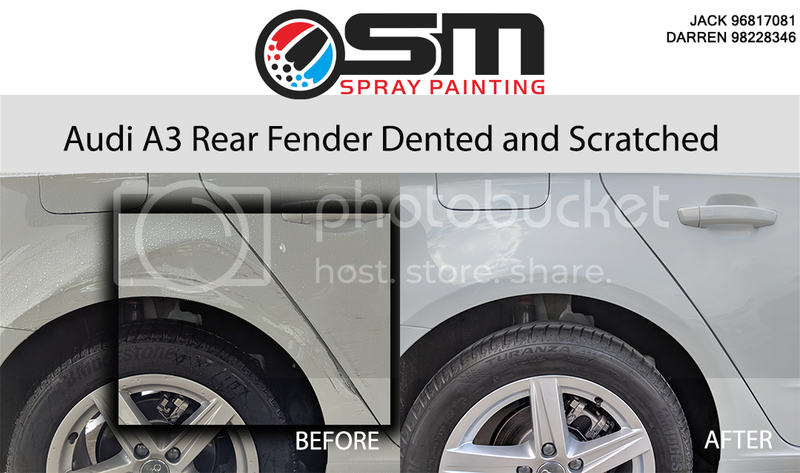 A scratch or dent on a white car is the most obvious. This Audi A3 came in immediately after a mishap with the paintwork it grazed against still fresh on the affected area. Job done in jiffy. 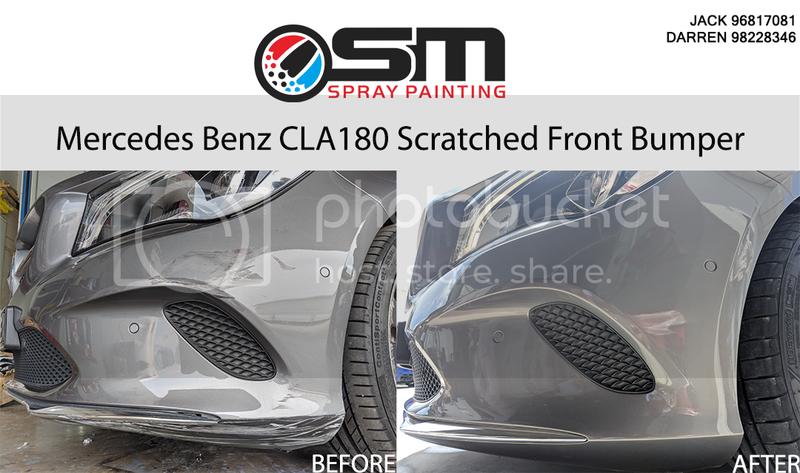 Mercedes Benz CLA 180 came in with a badly grazed bumper. It's common to encounter grazes but it is very important to remedy the affected area immediately. 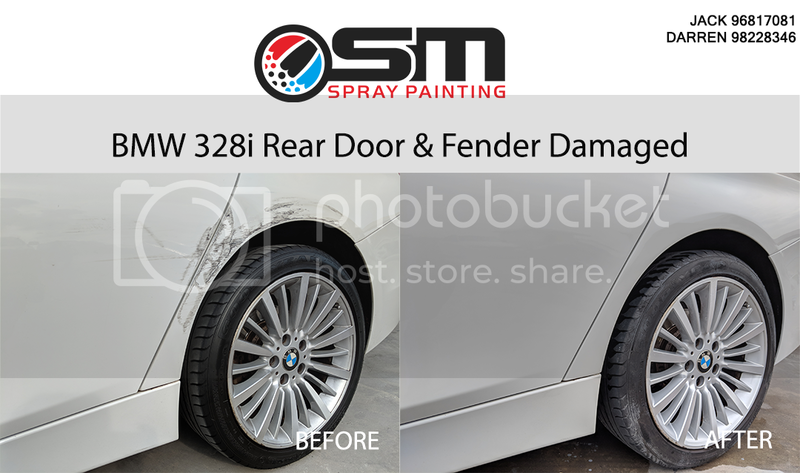 A BMW 328i got a nasty hit on the side giving it deep scratches and dents on its fender and door. Within the same day, the job was done and it is as good as new.